The DEP recently released a FAQ addressing what they felt was misinformation about the new Wharton Motorized Access Plan. The only misinformation about the MAP has been provided by the DEP. Here is a step by step analysis of their responses. The DEP’s comments are italicized for clarity. 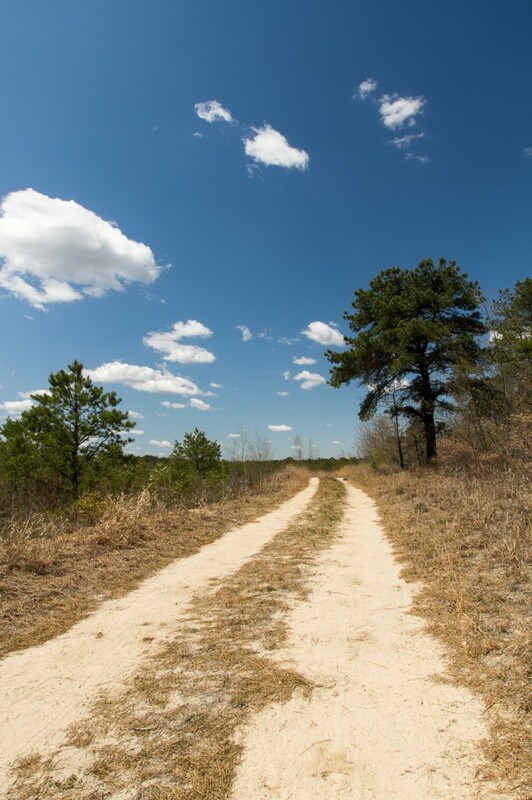 What is the Wharton State Forest Motorized Access Plan? The Wharton State Forest Motorized Access Plan is designed to make the many activities available in the Forest accessible to visitors driving on-road motor vehicles, while also preserving and protecting the Forest’s precious and irreplaceable natural environment. The Plan includes a detailed map that shows the 225 miles of open roads within the Forest and informs both first-time and long-time visitors to the park of the many opportunities to enjoy this beautiful and unique environment. 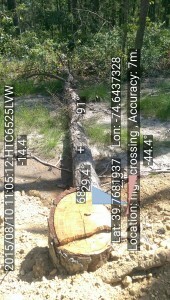 The claims that the Wharton MAP improves access to the forest is a blatant lie. 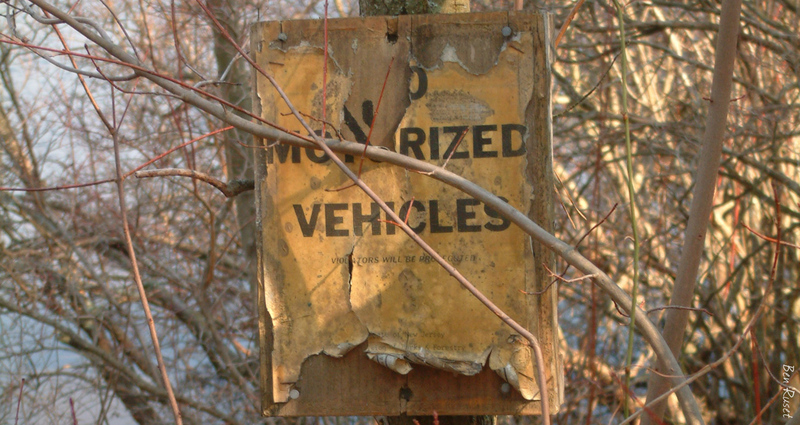 Over half of the roads and trails in Wharton State Forest are being closed to motor vehicles, preventing users of the forest – most of whom have no interest in “four wheeling” – easy access to places that they have historically been free to roam. While some roads and trails have been damaged by irresponsible off-road vehicle use, the MAP provides no plan for the enforcement of these road closures. 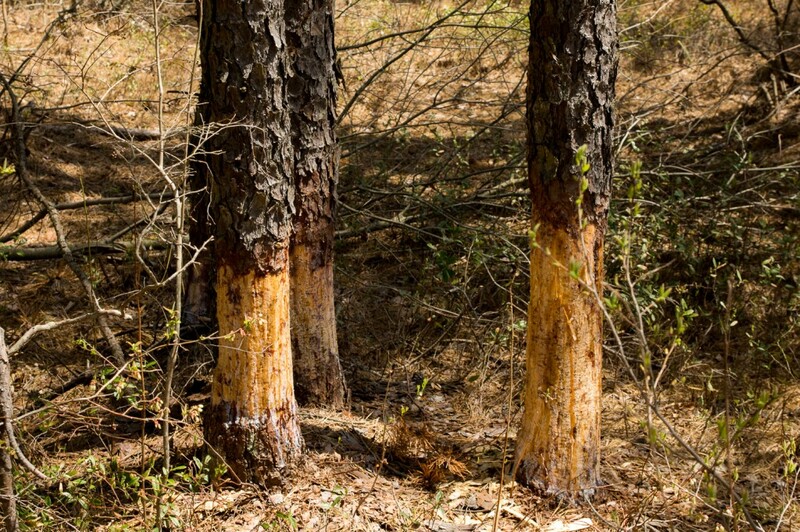 Without effective enforcement those who would carelessly damage the forest’s precious and irreplaceable natural environments would be free to continue their destruction while the overwhelming majority of the forest’s users would be closed off from huge swaths of public land. 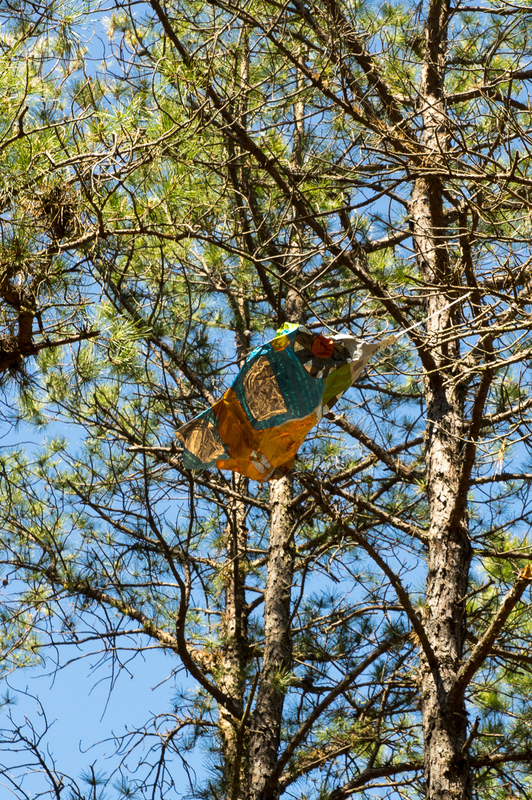 Why is the State Park Service implementing this Plan? 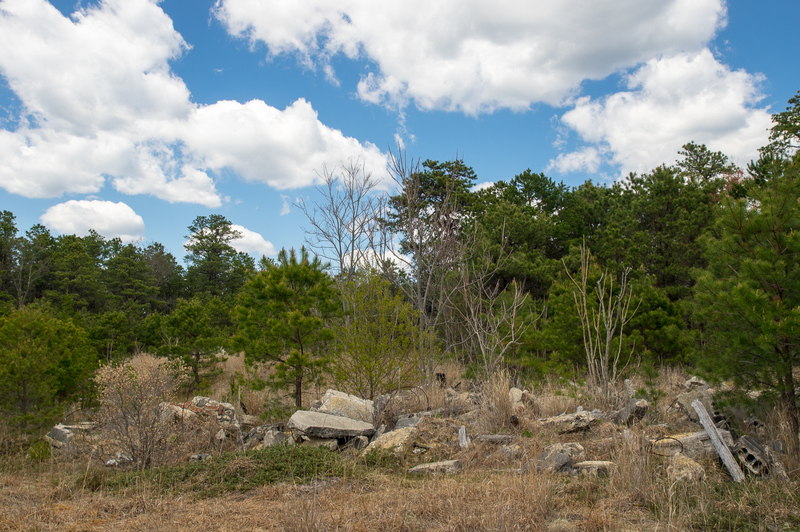 The State Park Service is implementing this plan to ensure wide and safe access to the Forest while also ensuring that the Forest is protected for today’s visitors and future generations. The funding for developing this plan was provided by the federal government to promote better access to the Forest for on-road motor vehicles and to protect the safety of the many visitors using the park on foot, bicycle, or horseback. 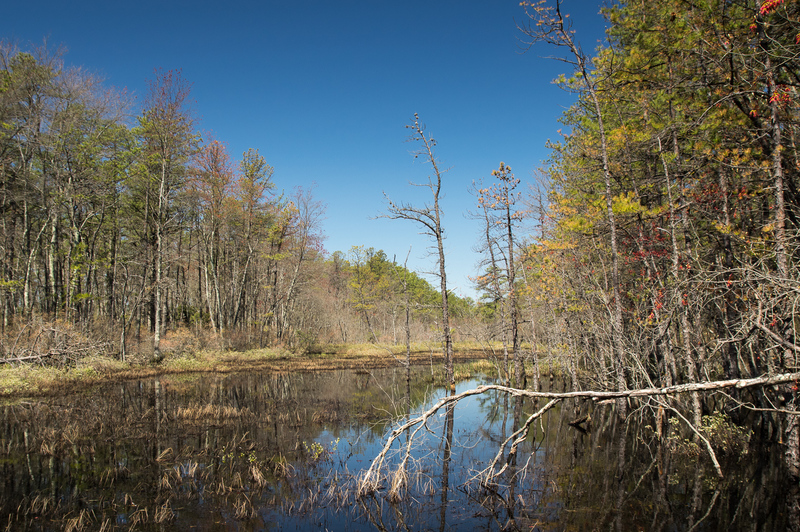 The DEP has implemented the MAP unilaterally and without the opportunity for public comment. As a result of this back alley deal roads have been marked closed prior to any public announcement being made. 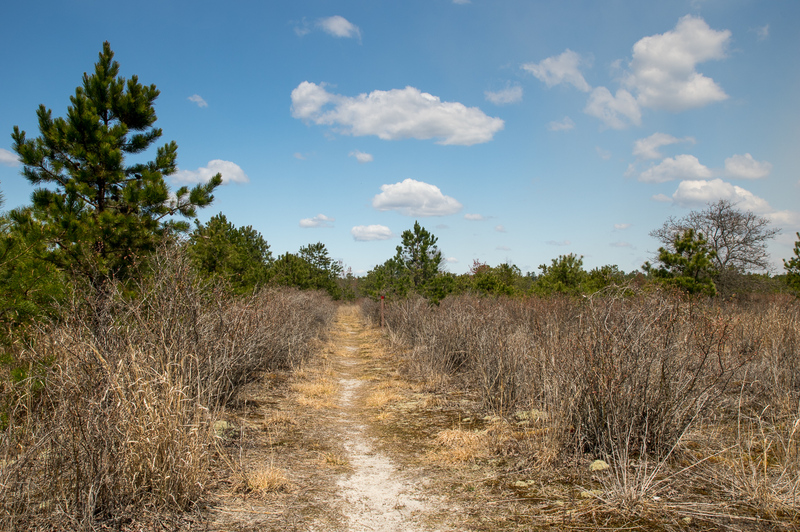 The DEP had planned to wait until the end of the summer to announce the MAP, after it had closed many trails, but were forced to move the announcement forward to perform damage control over the widespread outrage at the secrecy of the closures. Their secrecy has been so complete that even elected officials in Trenton have been unaware of this plan. The funding for the plan came from the Recreational Trails Grant Program, a Federal Highway Administration program designed to provide provide funds to states looking to develop and maintain recreational trails and trail-related facilities for both motorized and non-motorized recreational trail uses. Funding for the program is provided by federal taxes collected on gasoline. Interestingly, the State’s grant application makes no mention of road closures at all. Had they done so it is possible that the grant would not have been awarded. 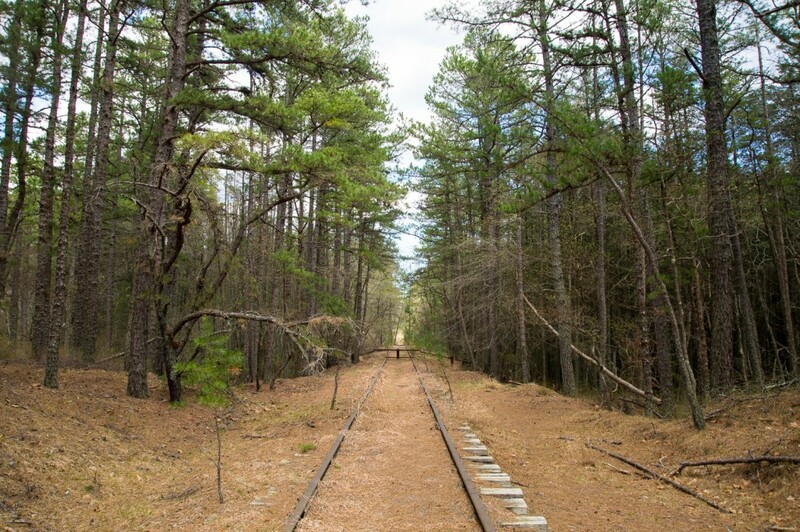 What will the Wharton State Forest Motorized Access Plan accomplish? Promote responsible recreation in the Forest. 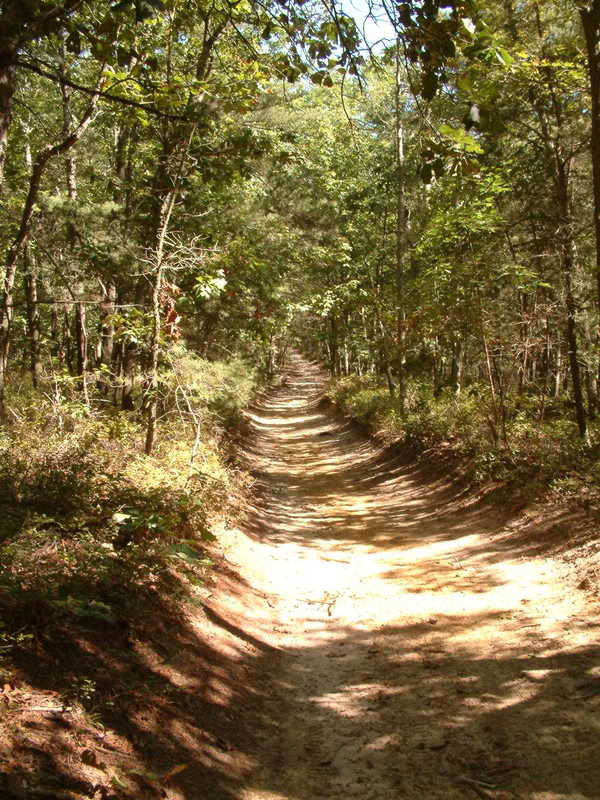 The overwhelming majority of the visitors of Wharton State Forest use the road and trail system responsibly. These people will be disproportionally punished by the implementation of the MAP. Roads and trails that have been open for public use for decades, if not centuries, are now suddenly closed with no warning given. Increase awareness and interpretation of the impacts motorized recreation can have on the Forest resources. It’s true: The MAP brochure shows some pretty grim images of off-road devastation which are totally inflammatory and do not represent the impact that the majority of the people who drive on Wharton’s sand roads and trails have. Improve stewardship and protection of the natural and cultural resources in the Forest. 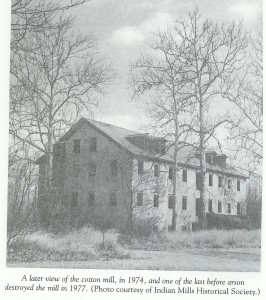 The Atsion Cotton Mill, 1977. Focus maintenance efforts on the designated routes. The roads that are left open are all “main” roads through the forest that should have always been adequately maintained. Promote access to new visitors. This is one success story of the MAP. A map showing all of the roads and trails through Wharton, in even greater detail than the somewhat outdated USGS topographic maps of the area, would help guide both new and old visitors safely throughout the forest. Road closures are not necessary to help guide those visitors. Improve coordination and access for emergency response including forest fires, search and rescue operations and severe storm response. 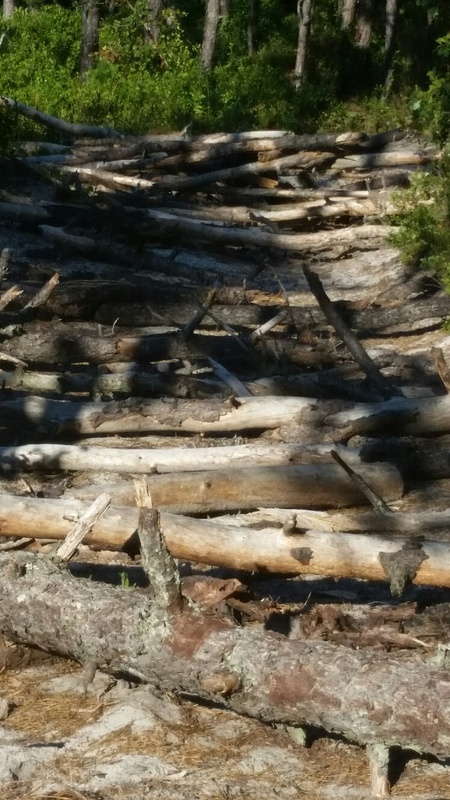 The state has been closing some roads by barricading the way with freshly cut or dead fallen trees. Far from allowing swift access for emergency first responders, the crews will be held up. 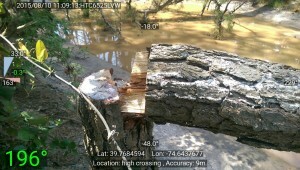 They will be losing valuable time clearing fallen trees from the road during a potentially life-threatening emergency. Streamline and coordinate education and enforcement efforts. The Wharton MAP makes no provisions for either education or enforcement efforts. How many miles of roads are open for on-road motor vehicles under the new plan? Approximately 225 miles of routes throughout the Forest will be OPEN for public motorized access. That is equivalent to almost twice the length of the New Jersey Turnpike. The majority of all roads within the Forest will remain open for public motorized access. The fact that the mileage of the roads left open in Wharton is twice the length of the turnpike is irrelevant. 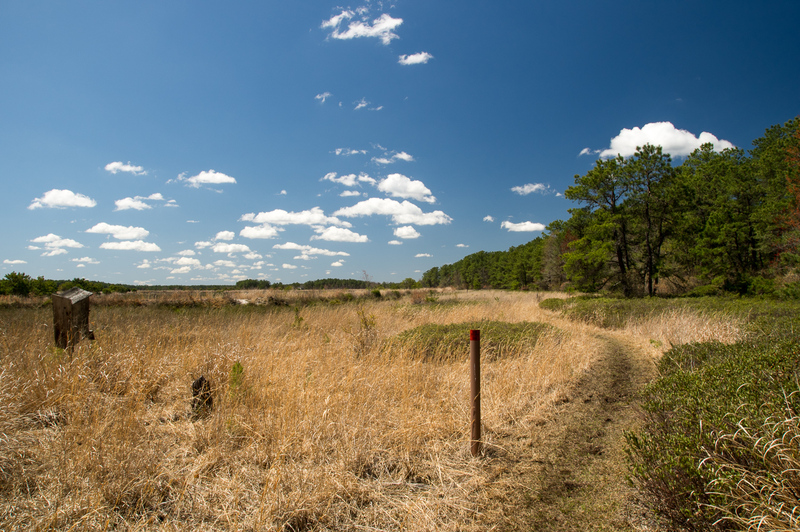 Just as you’re not going to develop a true appreciation for the pinelands by driving through it on the parkway, you won’t get the sense of the wonder that the Pine Barrens has to offer on the wide, crowded sand roads that are now the only ones left open to the public. 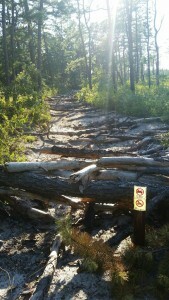 Remember, over 50% of the existing roads and trails have been CLOSED for public motorized access. Those roads, already crowded, are going to get much worse. How is this new Plan different from previously designated motorized access within Wharton State Forest? The majority of all routes that have been designated for motorized public use in the past will remain open to public motorized access. See attached maps from 1997 and 2003. They are very similar. 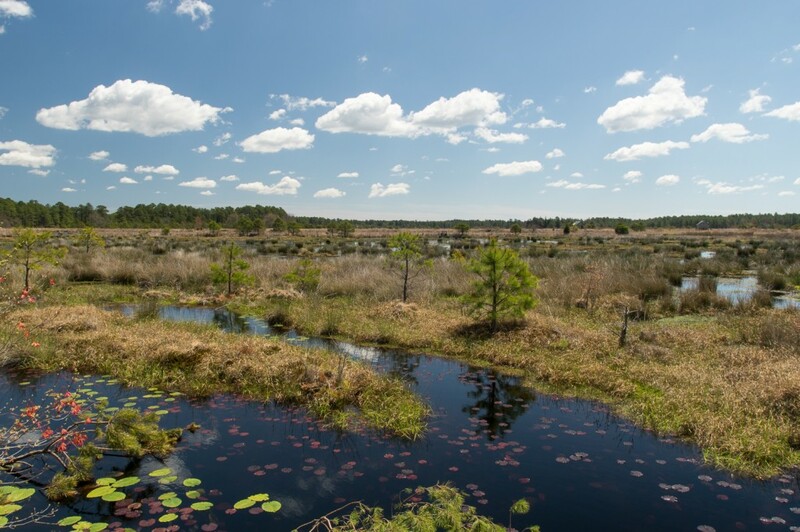 There has never been a public announcement stating what roads and trails were designated for motorized vehicles in the history of Wharton State Forest. Previously, road closures were small, targeted, and adequately marked with signage. The maps that the DEP’s FAQ refers to are maps that have been handed to people reserving campsites and only show various “unimproved sand roads” due to their small scale. Those maps were never intended to be used as a road map to show what areas were open or closed. Are the non-designated routes (or dotted lines) on the M.A.P completely closed to the general public? No. All non-designated routes will remain open to foot traffic, horseback riding and bicycling. True, provided that the road you’re looking to travel down has not been physically barricaded with obstacles. How will this plan affect my ability to get to my favorite locations within Wharton State Forest? 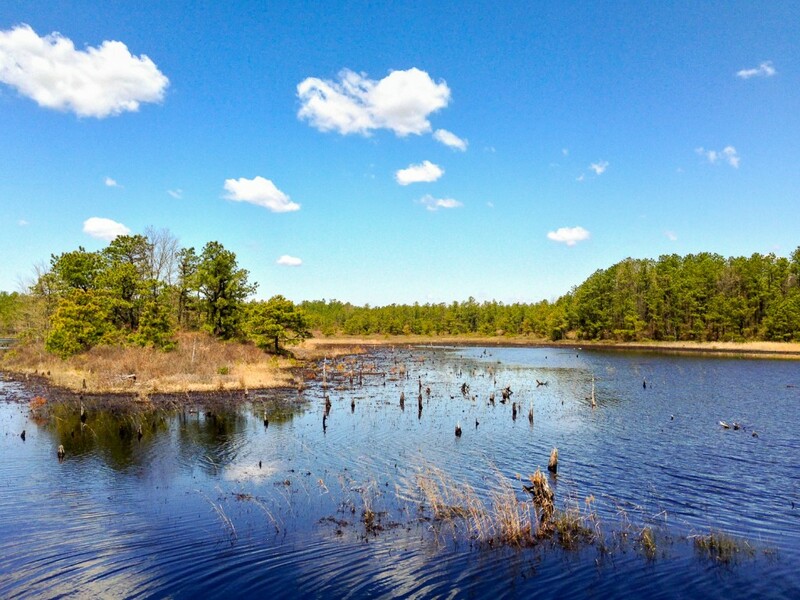 No part of the 125,000-acre Wharton State Forest is more than about one mile from a paved road or a sand road that is designated “open” to on-road motor vehicles under the M.A.P. 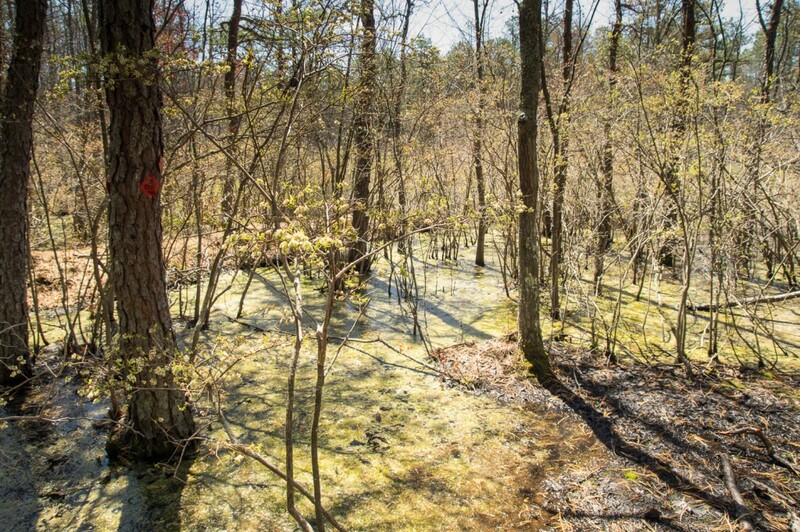 That might be true, but that mile that you have to traverse to get to a spot that was once conveniently located next to a road might now lie behind a mile of tangled briars, an impassable cedar swamp, or a river that would be dangerous to ford. Plus, if you were a kayaker looking to launch at your favorite secluded spot, or a photographer laden down with heavy gear, how feasible is it to bushwhack a mile or more through the woods to get to a spot that once was easily accessible? Not to mention the risk of exposure to poison ivy and disease carrying insects increases the more time you spend crashing through the forest getting to where you need to go. Will I still be able to drive to historic sites in the Forest? Yes. The M.A.P. 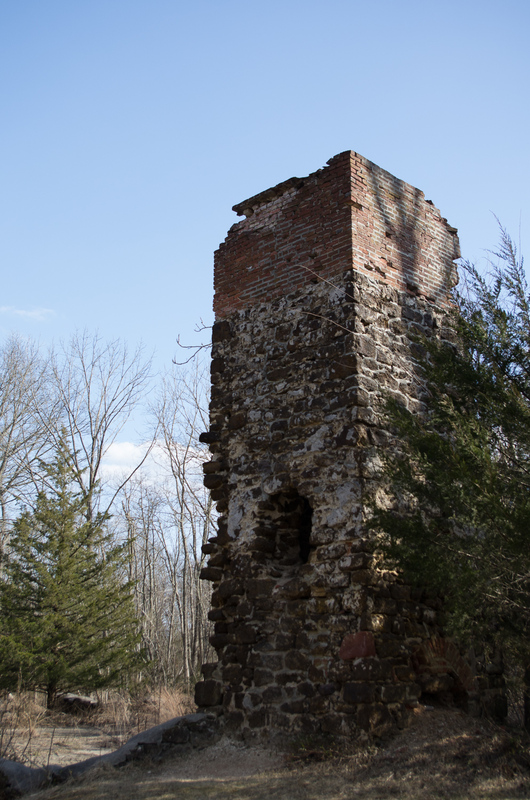 directs visitors to many sites of historic significance throughout the Forest. The majority of the “touristy” historic sites such as Batsto, Atsion, and Harrisville are all reachable via paved state or county roads. Reaching the more obscure historic sites that were already difficult to reach will now require a lot more effort. 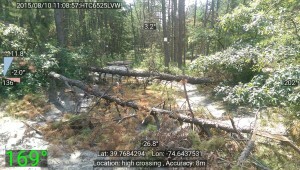 Will I still be able to drive to kayak and canoe launch sites in the Forest? Yes. The M.A.P. 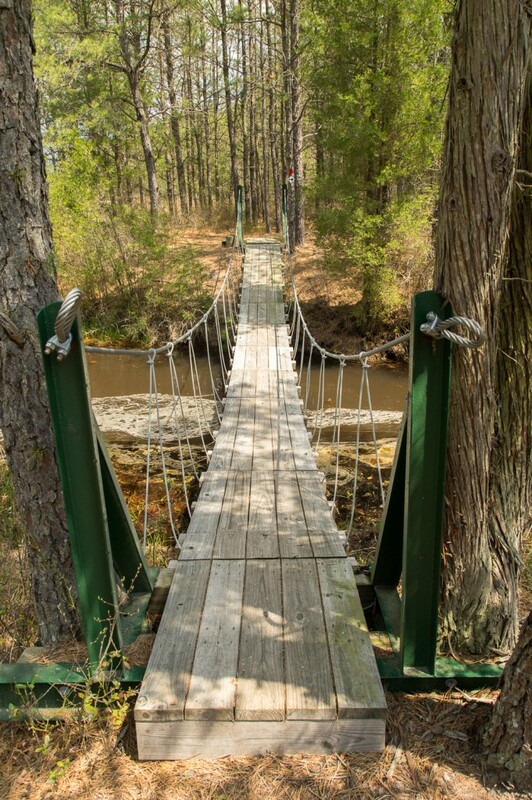 directs visitors to designated kayak and canoe launching sites throughout the Forest. 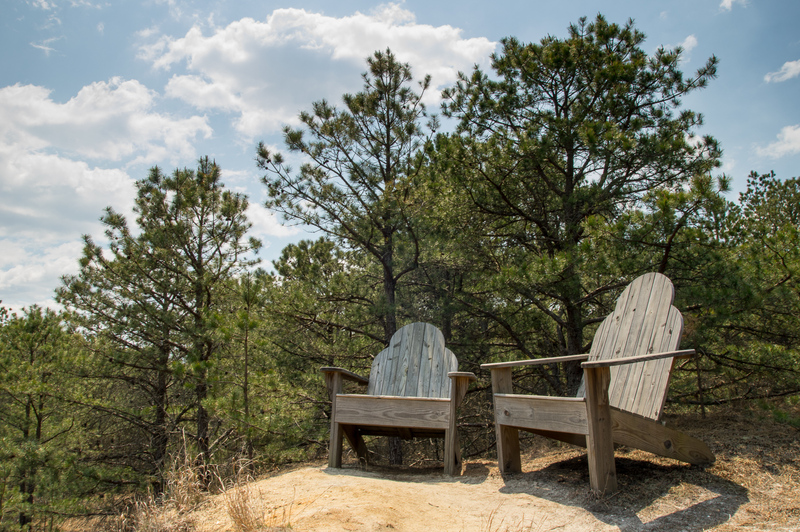 Parking is available at the Forest’s launch sites that are accessible by motor vehicle. Will disabled visitors have access to the Forest? The Americans with Disabilities Act and the State Park Service policy regarding Use of Mobility Devices will ensure disabled visitors can access the Forest. The wording of this is too vague. How exactly does the MAP make provisions for park visitors protected by the Americans with Disabilities Act? Can I bring my ATV on these designated routes? No. ATVs are not permitted on any lands administered by the State Park Service. Every day there are dozens of ATVs buzzing through the forest due to the lack of enforcement by the state. The MAP makes no provisions to address this. Will approved enduros continue to be permitted in the State Forest? Yes. Enduros will continue to be permitted by authorizing one-day Special Use Permits. This Plan will not change the present Enduro Management Plan and the SPS policy regarding Organized Competitive and Recreational Motorized Vehicle Events and Activities. In recent years the DEP has made the process of obtaining those special one-day Special Use Permits an increasingly arduous task. 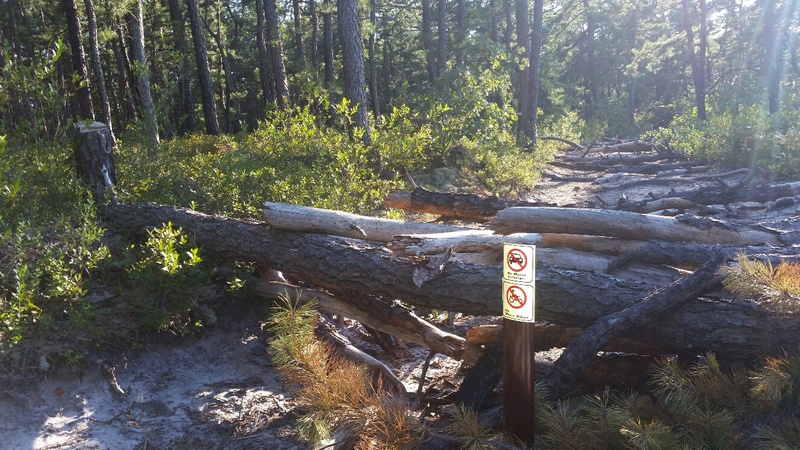 Just as the DEP has waged war against the enduro riders (a group who have been holding events in Wharton State Forest since the 1960s) they now are waging war against vehicular access. What group will be the next target? Will Forest Firefighters or other emergency responders still have access to the Forest? Yes, in fact the Plan will improve emergency response. Focused maintenance and repairs will facilitate quicker response time, access, and safety for first responders. A secondary and key benefit of the M.A.P. is that these designated routes are also primary fire breaks, thus also improving access to first responders. Another bald faced lie: The State is actively placing physical barriers on some of the closed roads, making it difficult if not impossible for emergency crews to access roads in time critical situations. The designated routes on the MAP, roads that have been there for centuries in some cases, have always been fire breaks. The MAP does not provide any additional protection for forest fires – in fact it hinders them. Was a new law passed to allow this Motorized Access Plan to happen? 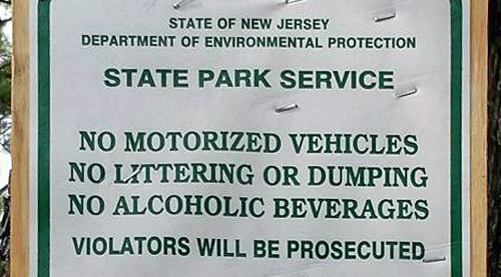 No, the NJ State Park Service Administrative Code has long authorized the prudent control of motorized vehicles on state lands. In 200s DEP Commissioner Bradley Campbell prohibited the use of Class II ORVs (quads, dirt bikes, etc. – anything that was not street legal in New Jersey) on state owned land. As a “concession” to the users of those vehicles the state was tasked with building two new off-road vehicle parks to provide a safe, controlled environment where those vehicles could be used. Fourteen years later there has only been one park opened, and even that one is currently closed. The DEP knew that their “concessions” would make it easier for this plan to be approved but they knew that it would be a herculean effort to get those parks built to accommodate the users that were thrown out of the forest. Now the off-road vehicle ban is extending to all Class I ORV’s (any car, truck, or SUV legally allowed to operate on the street). What fake “accommodations” will the state try to make here? 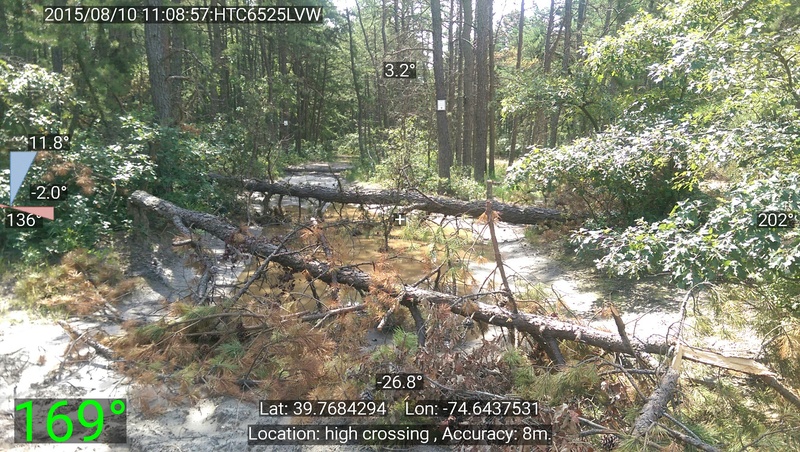 The only sane, fair control of motorized vehicle access on state lands are the targeted closures that have appeared here and there in the forest. These have been marginally effective, but a lack of enforcement has still allowed people to enter and abuse those areas. Where can I find the map online? 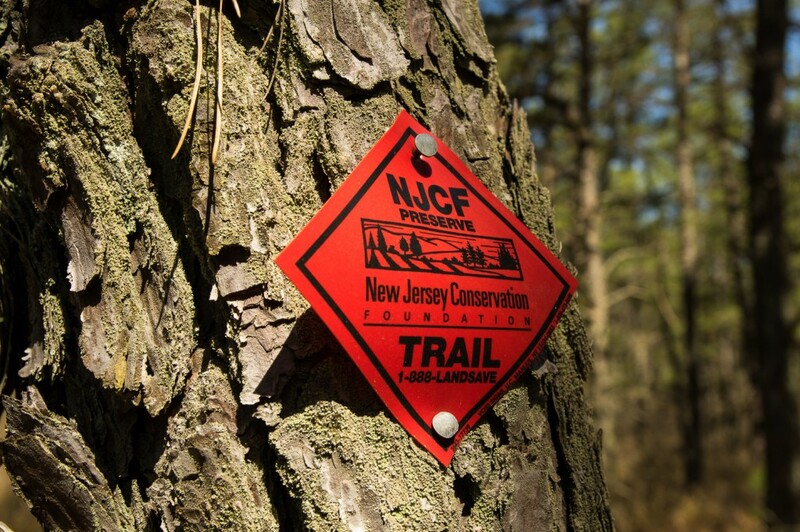 Please visit the Wharton State Forest webpage at http://www.njparksandforests.org/parks/maps/wsf_motorized_access_plan.pdf to view the entire M.A.P. When the MAP first appeared online it did not have the label “draft” on it like the one linked from the official Wharton State Forest website which that link does not point to. This is another half baked attempt at the DEP’s damage control. Make no bones about it, that “draft” map is the final product. Will stakeholders have a chance to express their views about this plan? Yes, a series of meetings are being scheduled. The first ones are anticipated to occur in September 2015. These meetings will provide representatives of various stakeholders and user groups with a detailed presentation regarding the M.A.P. and an opportunity for feedback. It’s important to note that the Wharton MAP has been designed and approved without the input of the stakeholder groups. Now that there has been widespread outrage at the plan and legislators now questioning it the DEP is interested in meeting with certain “stakeholders.” It seems unlikely that, after spending hundreds of thousands of dollars to implement the MAP, the state would incur the cost of changing the plan which would show that the DEP’s actions were a waste of grant money. How can I get notice of when the stakeholder meetings will take place? Invitations will be sent out to the stakeholder groups. Leaders of interested organizations that use the Forest should contact the State Park Service at (609) 704-1964 to be sure they are included. Where can I send my comments on the M.A.P.? Individuals can send their comments to whartonmapcomments@dep.nj.gov. Those interested in fighting against the MAP implementation are better served by signing the petition against it. It’s important that your elected officials know your feelings, rather than have them be ignored by the people monitoring that email address. 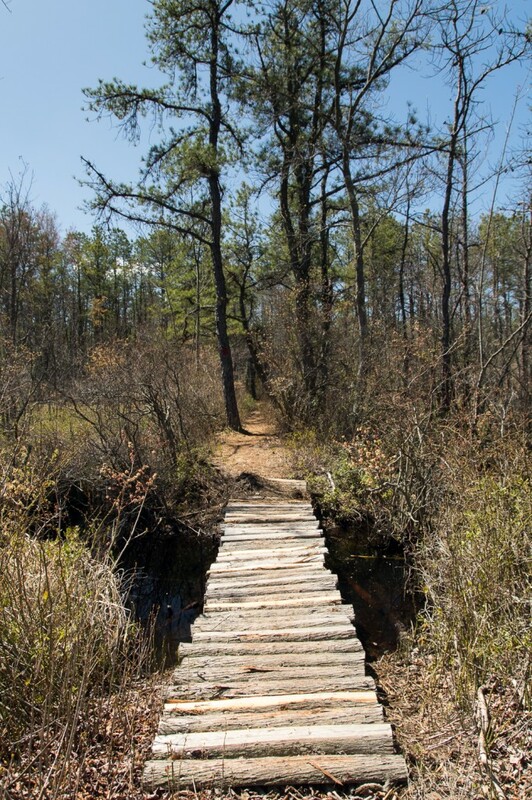 You should also take a look at Open Trails NJ (also on Facebook), a group dedicated to the public’s fair access to State land. Is this M.A.P. ever going to change? Will more roads/routes be opened? Yes, this M.A.P. is a work in progress. The State Park Service will continually evaluate the effectiveness of the M.A.P. to ensure that it meets the goals of promoting access to the Forest and preserving and protecting the Forest’s environment. It seems unlikely that, once a road is closed, it would ever reopen. There are no formal provisions for determining under what a criteria a road might be reopened. If anything, additional closures are probably the only changes to the MAP. Will the State Park Service be blocking non-designated motorized recreation routes with trees, guardrails, gates, or other barricades? No. Many areas may be posted with appropriate signage but access will remain open for enforcement, first responders, forest fire personnel, and other permitted uses. This is a lie. 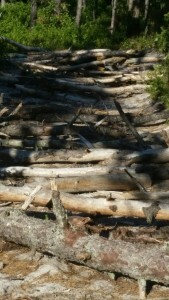 The State has already blocked several roads and trails with fallen trees. Bill Sprouse’s book, The Domestic Life of the Jersey Devil, chronicles his investigation into the origins and meaning of the Jersey Devil myth. When Sprouse was young his grandmother, Helen Leeds (lovingly referred to as BeBop throughout the book), told him the story and how he was distantly related to the creature. That was enough to pique his interest and his years of research and investigation ultimately led to this book. A few months later Mother Leeds and her midwives watched in horror as the features of the baby began to distort into a demonic image minutes after the birth. Bat-like wings emerged from its back as its twisting and writhing body took on a long, serpent-like shape. The head of the child elongated into something not unlike the head of a horse. Mother Leeds’ curse was finally fulfilled as hooves replaced the baby’s hands and feet. Suddenly the creature leapt up from the bed and beat everyone in the room with its long forked tail. The creature unfurled its wings and with a scream shot up the chimney and escaped into the dark night and out into the Pine Barrens, where it continues to live today. Daniel’s almanac ran afoul of the Quakers who were shocked by the “heathenish” elements in the publication. Like most other publishers of almanacs in the 17th century he included occultist information that the author claims made the almanac an “astrological toolkit.” Various sources claim that the Quakers were so incensed at the publication that they ordered an apologetic Daniel to burn every unsold copy. Daniel’s very public repudiation by his Quaker peers and the increasing amount of tension with them led him to leave his homestead in Springfield, just outside of Burlington, and move his family across the state to a wilderness that would eventually become known as Leeds Point. Safely out of reach there he continued to write increasingly inflammatory anti-Quaker pamphlets denouncing the Philadelphia Meeting who then returned the favor in kind, labeling him as “Satan’s Harbinger.” Daniel’s almanacs were printed in New York City, and while Leeds Point was far off the beaten path, it was not as cut off from the rest of the world as many would imagine. It’s no stretch to think that news of Leeds’ daughter-in-laws pregnancy would have reached his detractors in Philadelphia, would jump at the chance to invent a story about a demonic child to make a strong case that the Leeds family were being punished for straying from their Quaker ways. The theory that the schism between Daniel Leeds and the Quakers of Philadelphia is the source of the Jersey Devil myth is not new, although Sprouse – who disclaims that he is not a professional historian – does an exemplary job of researching the facts and providing footnotes to enable the reader to research more on their own. The book reads more like a John McPhee-type essay than a dry history tome as the author mixes history with his own stories of his grandmother and his interactions with various locals as he tries to figure out what the Jersey Devil actually is. Readers who are looking for a book that will confirm the existence of the Jersey Devil will be disappointed, as the author makes no bones about his disbelief of the creature. Those looking for a well thought out, entertaining look at the origins of the Jersey Devil myth would be happy that they picked this book up. The only one minor drawback to the book is that it can be hard to follow at times as the narrative jumps around, often back and forth in time, quite a bit between chapters. Several times a chapter will end, the next chapter will go on about something else entirely, and the chapter after that will pick up where the first left off. Those are minor annoyances and shouldn’t take away from the otherwise excellent writing and research found throughout the book. Between the 18th and 19th centuries the Pine Barrens were home to a number of industrial ventures. Iron furnaces, forges, glass, and paper factories dotted the landscape, springing up wherever abundant water power and natural resources were found. The legacy of those industries and the towns that grew up around them is largely lost to time; the odd scattering of bricks and rubble in a clearing and names marked on old yellowing maps are the only witness to those ventures and the people who lived and worked there. Batsto Village is one of the few places that managed to avoid that fate. 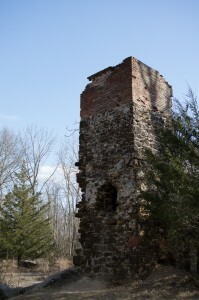 Charles Read established an iron furnace there in 1766. 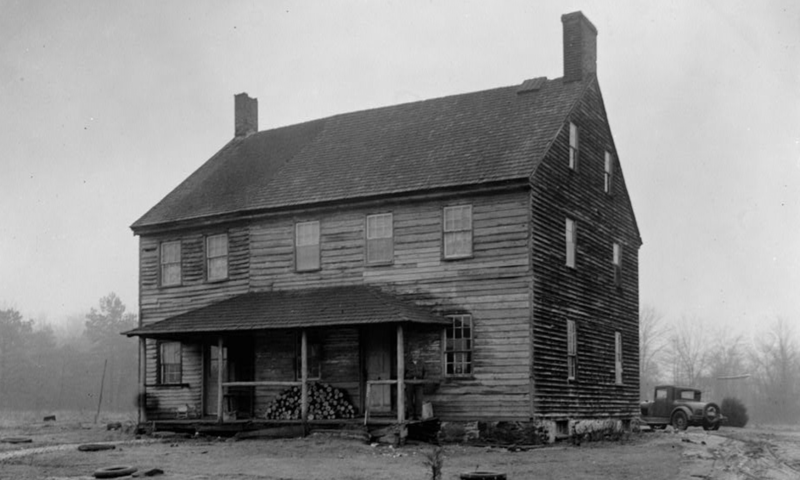 Less than a decade later Batsto’s iron products were considered so important to the Revolutionary War effort that George Washington exempted the furnace workers from military service. 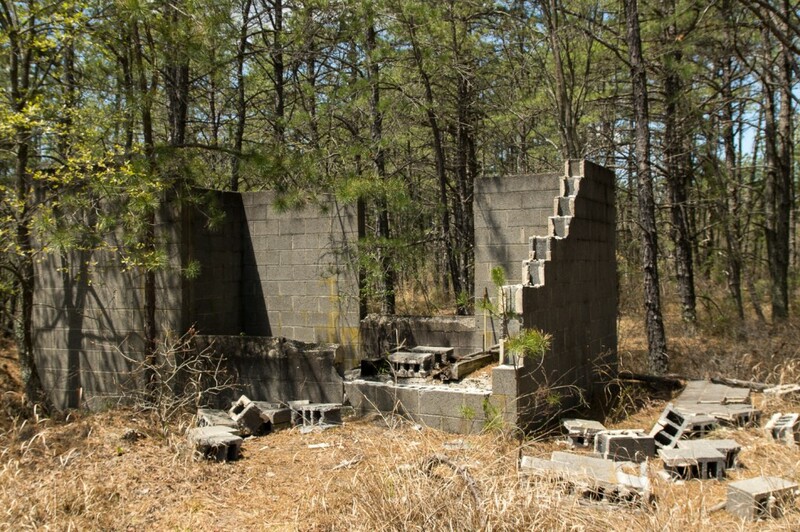 Within a century all of the furnaces in the Pine Barrens had closed down, unable to compete with the Pennsylvania furnaces that were fuelled by less expensive anthracite coal. 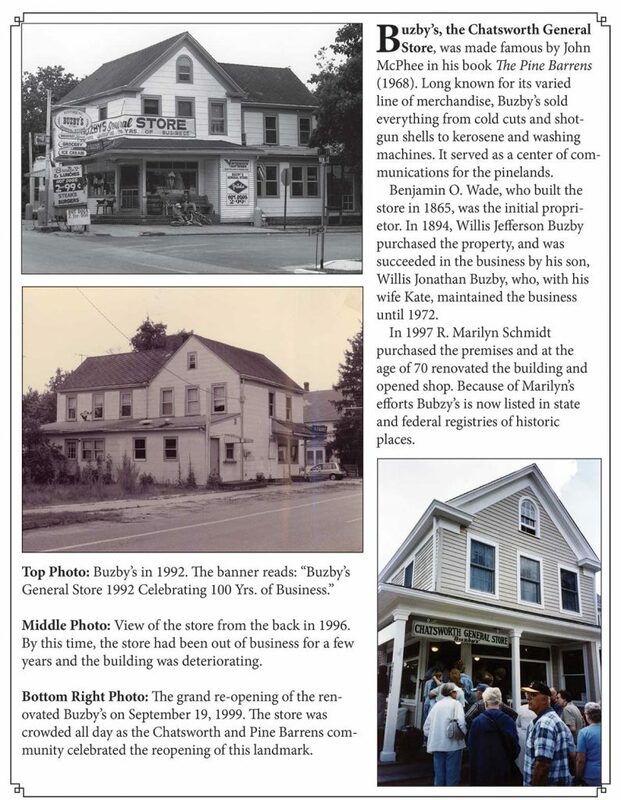 The owner of Batsto, Jesse Richards, realized that the days of iron production were over but that glass could be profitably made in the Pine Barrens. By 1846 the glassworks at Batsto was producing large amounts of window glass and the town was again bustling with life. The death of Richards in 1854, several fires, and labor unrest marked the beginning of the end of Batsto’s industrial production. 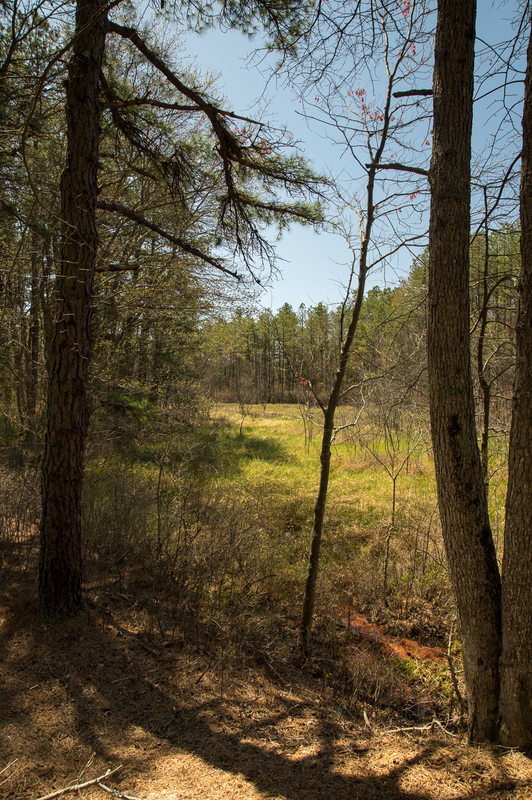 In 1874, after years of decline the Philadelphia industrialist Joseph Wharton purchased the Batsto tract. Barbara Solem’s new book Batsto Village: Jewel of the Pines takes a deep dive into all of the phases of Batsto’s history. 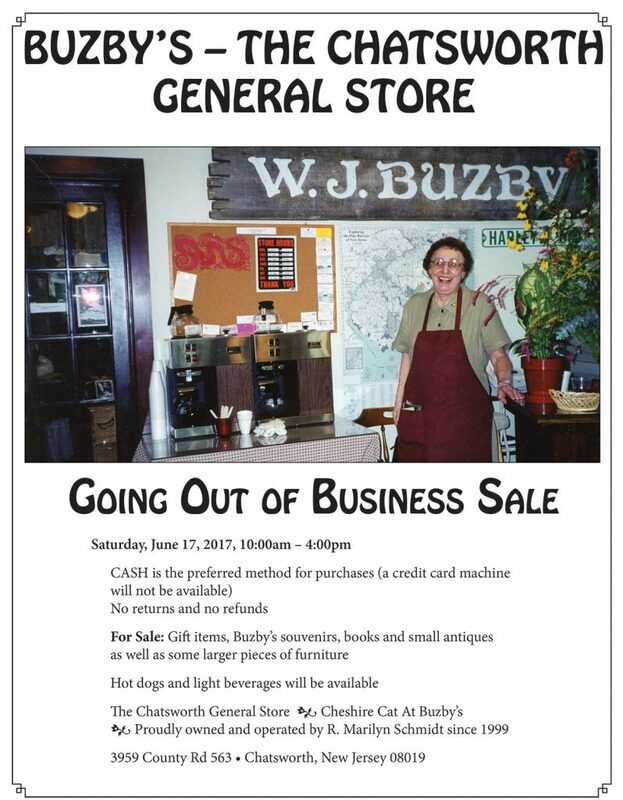 Solem, author of the successful book Ghost Towns and Other Quirky Places in the New Jersey Pine Barrens, weaves a narrative that is both informative and entertaining as she covers the history of the town from pre-European settlement days to the modern day as an open air museum that is the crown jewel of Wharton State Forest. 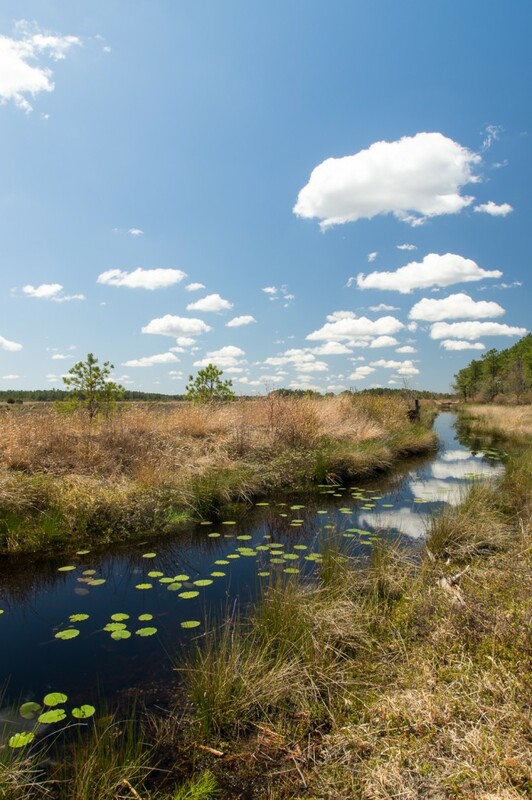 Renowned Pine Barrens fine art photographer Albert D. Horner supplies beautiful full color photography for the book. Interestingly there are photographs of all of the rooms inside Wharton’s mansion at Batsto. If you have not had the pleasure of a mansion tour yet these photographs will surely get you excited to go on one. There are also a number of beautiful landscape photographs from around the village. Of particular note is a wide-angle shot of the mansion and general store after a fresh snowfall that succinctly captures the feeling of the village being frozen in time. Working through the book, one might wonder if there will be any mention of what happened with the village after the state purchased. 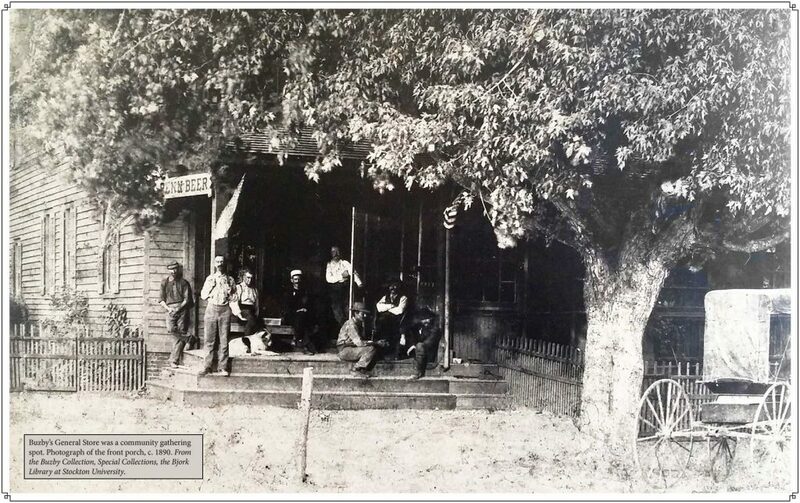 Luckily Solem devotes a chapter going into detail about the various restoration plans for the village as well as the archaeological digs that have been conducted. 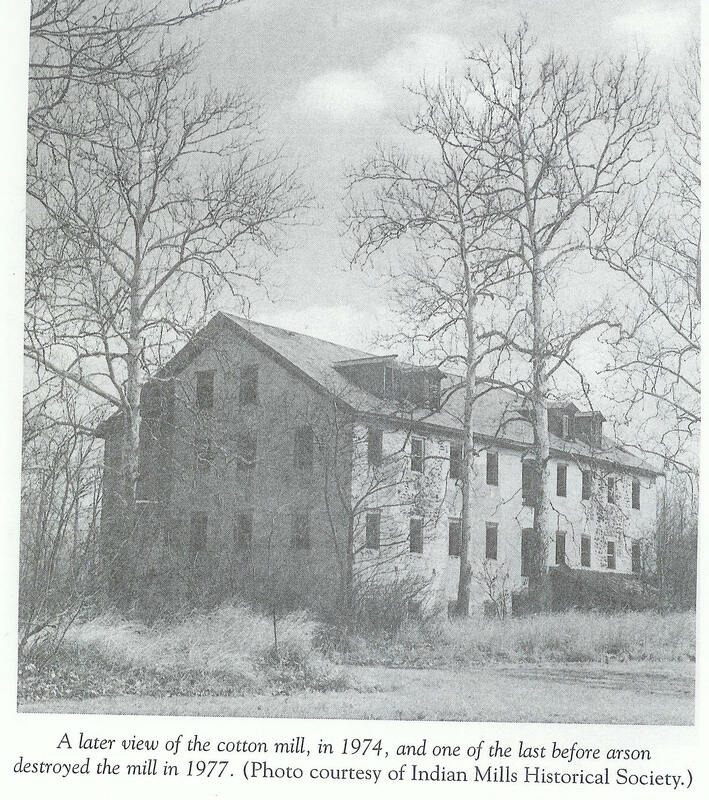 An interesting fact presented is that the first building to be restored was the sawmill, which was then used to make boards, beams, and shingles that were used to restore the other buildings. There’s no other book that goes into great detail about the post-1955 history of the village. That chapter alone makes this a valuable reference book. 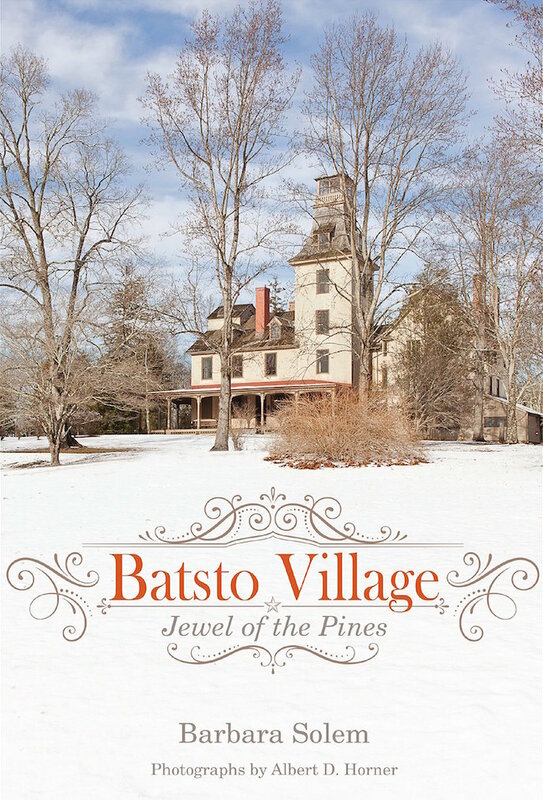 Batsto Village: Jewel of the Pines is well written, fascinating, and is of interest to people who are interested in a casual history of Batsto. This is a book that I am proud to have on my shelf and I’m hopeful for another book similar to this from the author in the future. Manufacturing stories and tall-tales is an industry linked to South Jersey as much as iron making or growing cranberries has been. For centuries, the folks of Down Jersey have spun fantastic yarns; take, for example, the legend of the Jersey Devil, the White Stag of Shamong, and Peggy Clevenger’s mysterious boiling well to just name just a few. Just like the Pine Barrens furnaces were obsoleted by new technology, you might think that the Internet and cable TV have supplanted the South Jersey storytellers. Everyone’s heard the same tales over and over, and nobody ever seems to have a new story to share – until now. 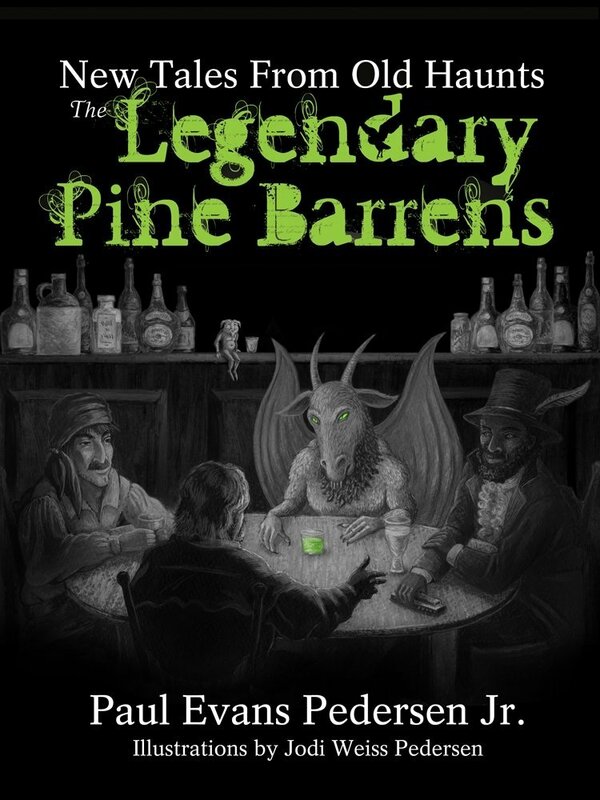 Paul Evan Pedersen, Jr.’s new book, The Legendary Pine Barrens: New Tales from Old Haunts, changes all of that. The subtitle of the book is a succinct description of what lays in between the covers. As John Bryans, author of the foreword of the book points out, these aren’t your grandfather’s (or grandfather’s grandfather’s) Pine Barrens yarns. From the jump, Pederson wastes no time getting down to business. 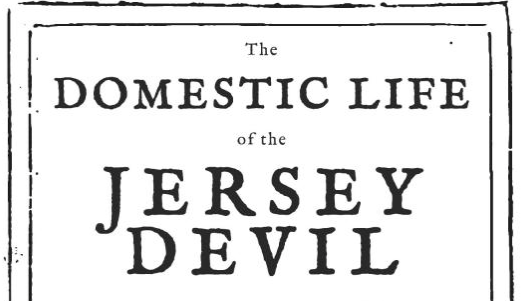 Leading off with a tale of a mad pirate; a beautiful strawberry-blonde woman; a magical Lenape Indian well; and a night of passion, Peterson weaves a splendid, if not somewhat racy, reboot of the famous Jersey Devil legend. Not all of the stories in the book are retellings of old legends. Pederson has come up with some winning original tales in this book, one example of which is The Hangin’ Tree, that has an ending that would make O’Henry proud. There’s an element of modern day horror in the legend of The Deadbus, which I found particularly gripping. The same thing goes for Dr. Mason’s Patient, which explains a particularly obscure bit of Jerseyana trivia. Weird NJ fans will love The Goin’s-Ons Out on Purgatory Road, which has always been a perennial favorite for teenagers looking to scare themselves. I felt as if I might be reading an early Stephen King novella in my favorite story, The Secret of Salamander Pond. Pederson is at his best here, weaving a tale of the friendship of four boys who discover a secret hidden in a pond deep in the Pines. Somebody, or something, isn’t pleased and makes an effort to pursues the boys to ensure that what was taken gets returned. I feel that there’s enough potential in the story that that it could be expanded into a standalone novella, which would please me to no end to read. Bookstore shelves sag with the weight of New Jersey themed books. This book stands out as a gem since it doesn’t rehash old stories or tries to take itself too seriously. This is entertainment, pure and simple, made all the better by being set in the Pinelands. 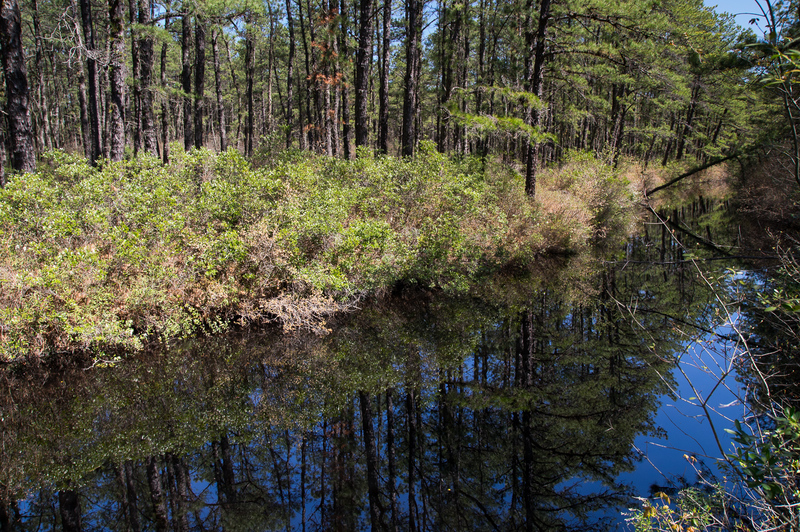 In all there’s twenty-one stories that will delight just about anybody who even has a casual interest in the Pine Barrens. The characters are interesting and fresh, the stories flow nicely, and the writing is superb. Pederson’s imagination shines behind every word in the book and it may just be that he might be one of the best new storytellers of our times.